Obituary for Gloria I. 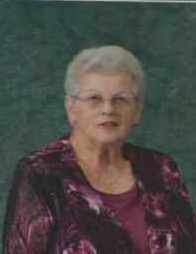 (Gerber) Arner | Hartman Funeral Home, Inc.
Gloria I. Arner, 82, of West Penn Township, passed away peacefully on June 12, 2018, in her home. She was the wife of the late G. Richard Arner who passed away June 30, 1999. They were married 45 years at the time of his death. She and her husband owned and operated G.R. Arner Trucking and she later worked at the former Scotty’s Fashions, Lehighton, retiring in 1994. Born on August 3, 1935, in West Penn Township, she was the daughter of the late Arthur D. and Lydia I. (Steigerwalt) Gerber. Gloria was a member of St Peter’s Union Church, Mantzville, where she had been a member of the Kitchen Krew, the Prayer Circle and the Retirees Club. Gloria was an avid reader of magazines, loved baking pies, playing cards, camping and traveling in her RV. She and her husband traveled to California and back numerous times taking different routes each time. She was preceded in death by a son, Scott, who passed away in 2005, due to complications of MS, a brother Wayne Gerber and a brother-in-law Roger Arner. She is survived by her daughter, Melody, wife of Daniel Kabana, of Tamaqua; a son, Blaine, of Huntington; Gloria was “Nana” to Jesse Kabana of Wilkes Barre, Shaun Arner and his wife Kelly, and Jennifer, wife of Kyle Goodwin, all of Palm Bay, FL. She was “Grammy” to five great grandsons, Toby, Jake and Colt Goodwin and Chad and Ethan Arner of Palm Bay, FL; two sisters-in-law, Marion Gerber, of Hazleton and Hazle Arner of West Penn Township, two nephews and a niece. Memorial Service will be held 6pm Sunday, June 17, 2018, at St. Peter’s Union Church, 184, St. Peter’s Rd, Tamaqua, with the Rev Ken Melber officiating. Private interment in the church cemetery. Contributions to the church. Hartman Funeral Home, 1791 West Penn Pike, Rte. 309, New Ringgold, is in charge of the funeral arrangements. Online registry and condolences may be signed at www.hartmanfuneralhomeinc.com.